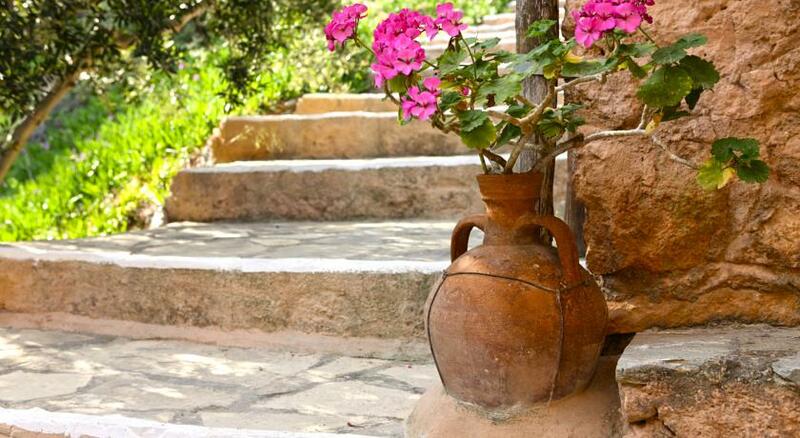 Aspros Potamos is known to be the most ancient settlement in the area of Pefki. 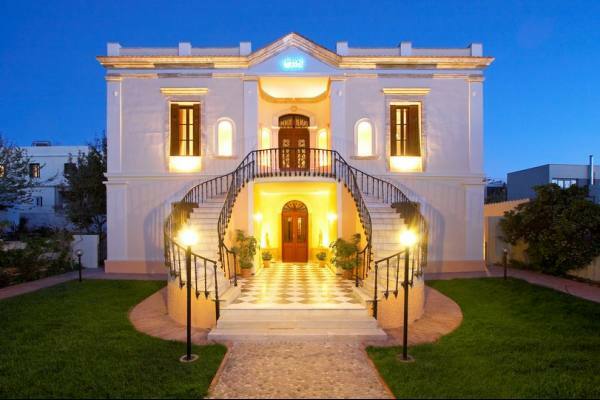 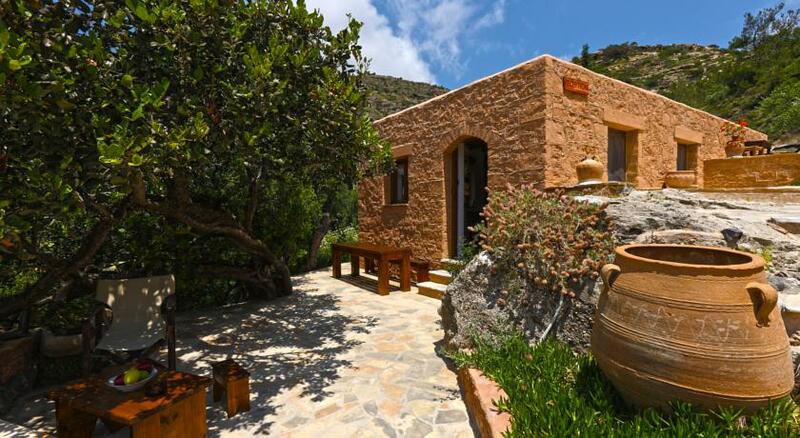 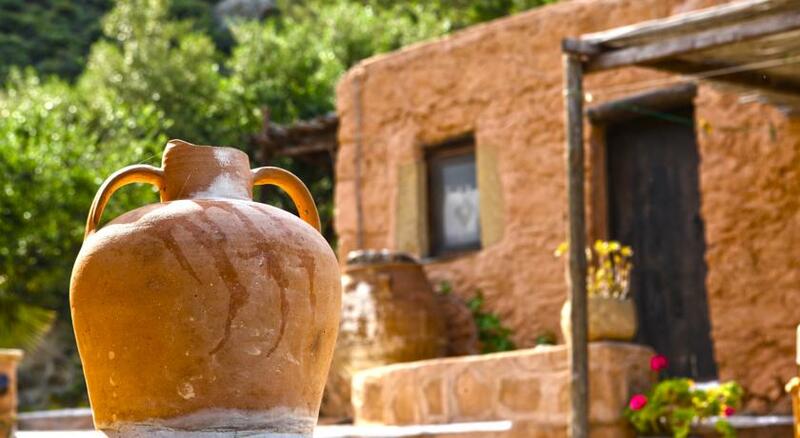 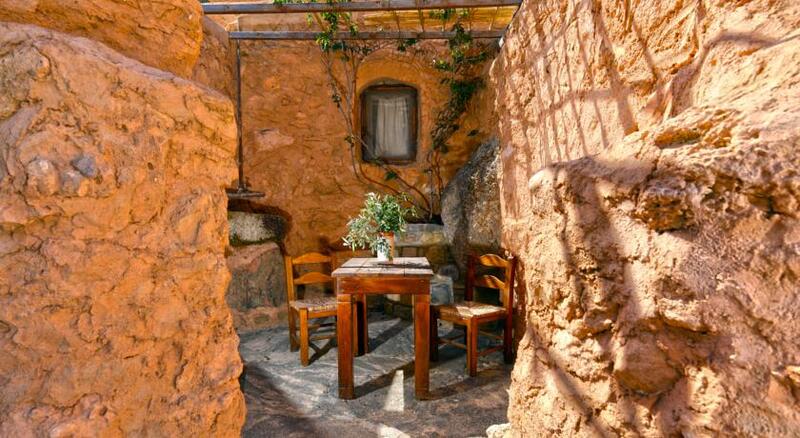 It is located in south-east Crete, a thousand meters above sea level and the coastal village Makrys Gialos. 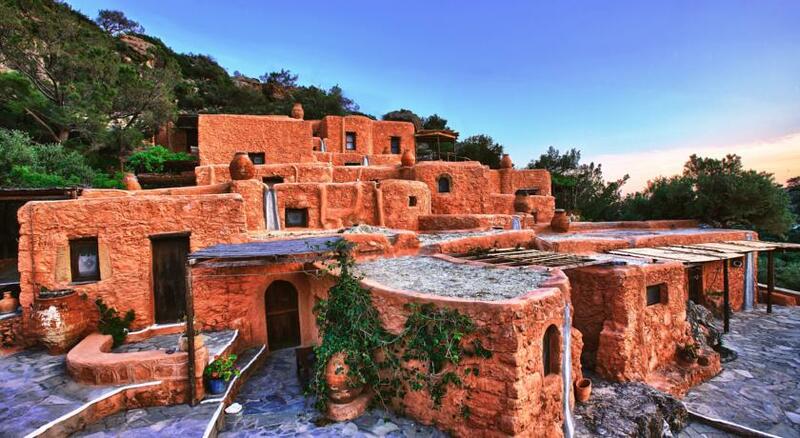 The area is famous for its natural beauty, which comprises of numerous unspoiled beaches, traditional picturesque villages, and its four magnificent gorges. 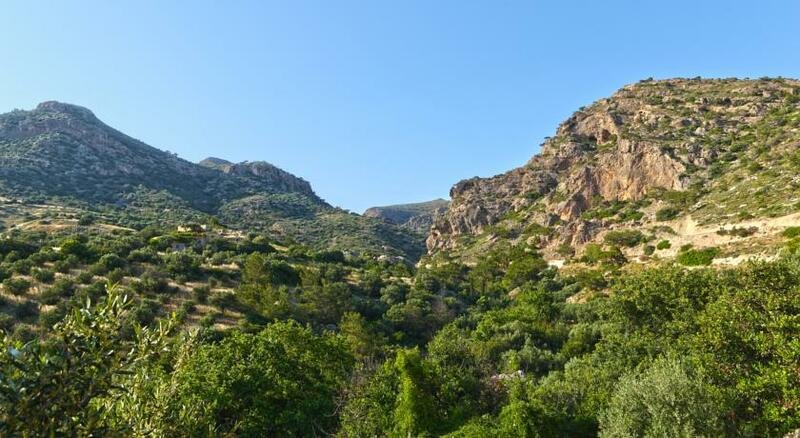 It is an ideal location, since the area combines beaches and mountains covered by lush greenery and endogenous pine, olive and citrus trees. 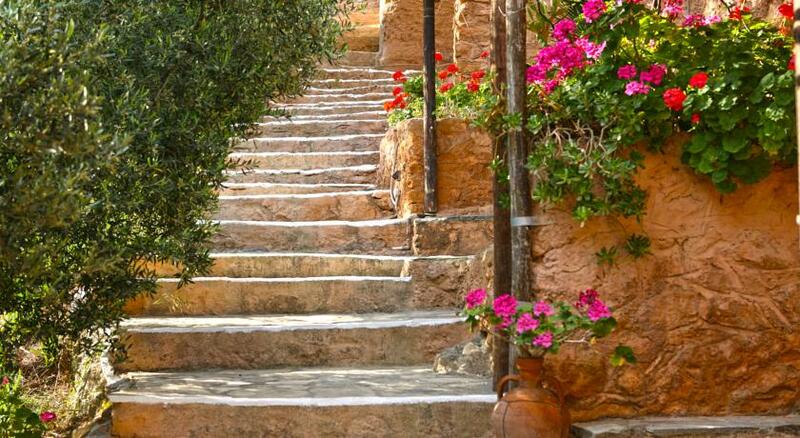 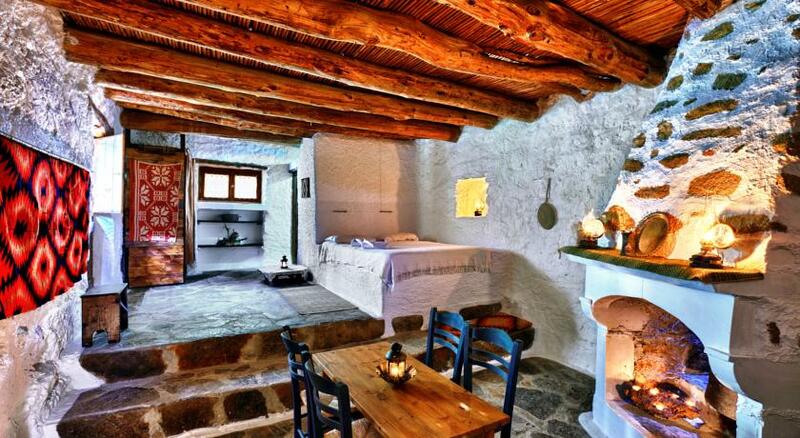 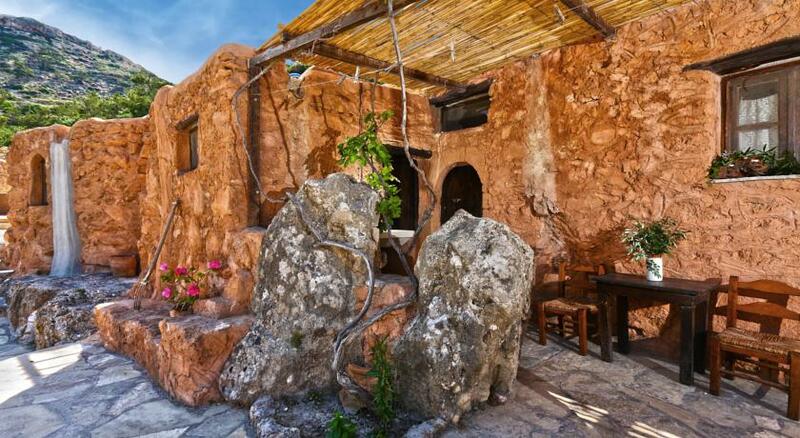 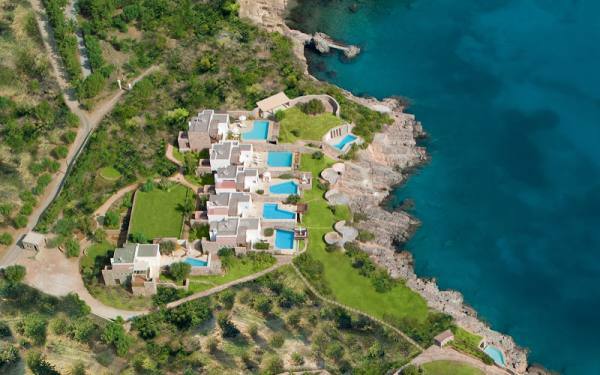 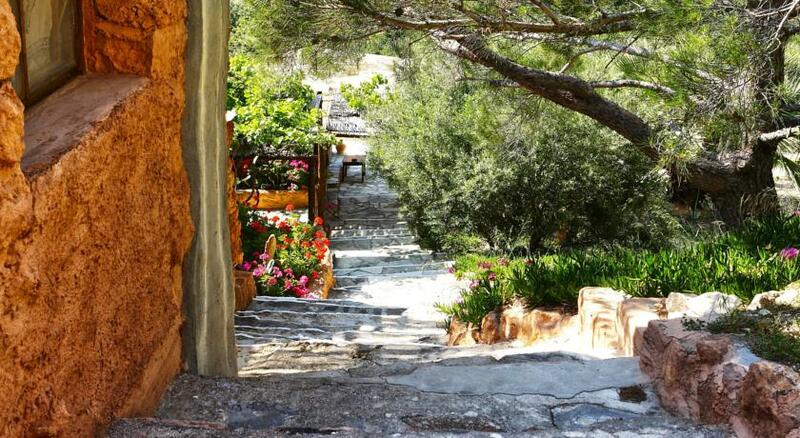 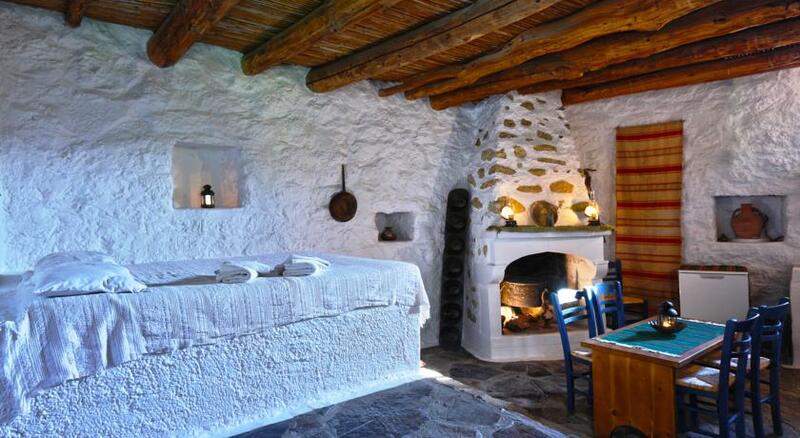 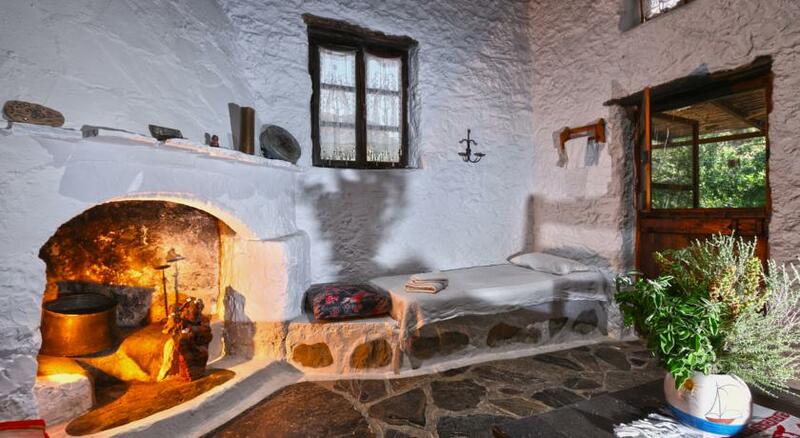 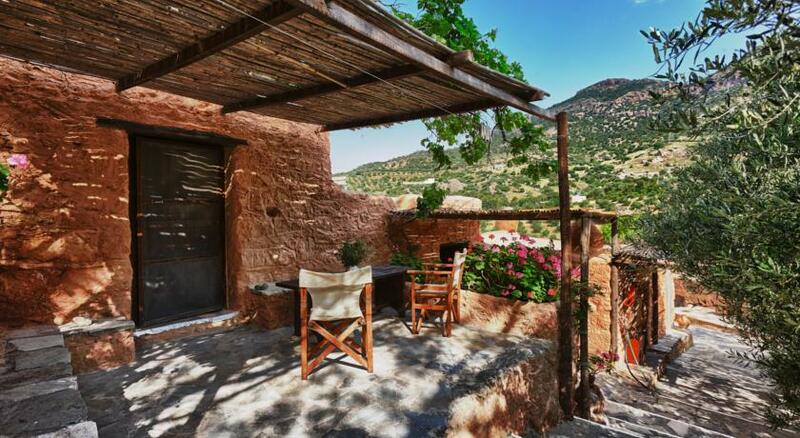 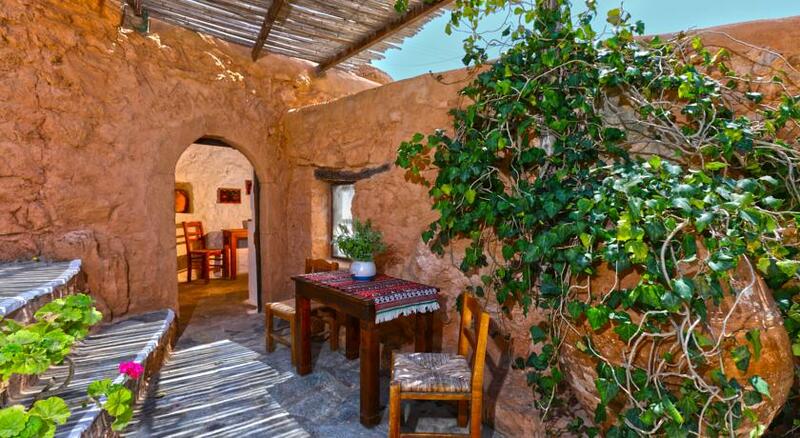 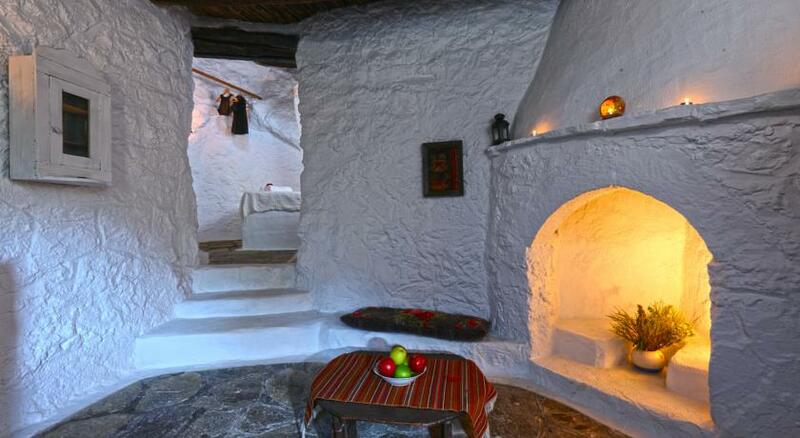 The stone built houses (10 in total) are in harmony with nature and the guest will feel as if living in the old times. 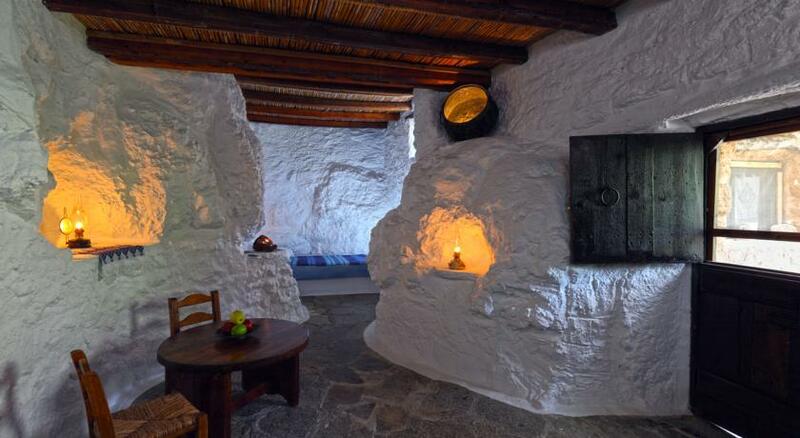 The houses were built 300 years ago and they were last renovated in 2011. 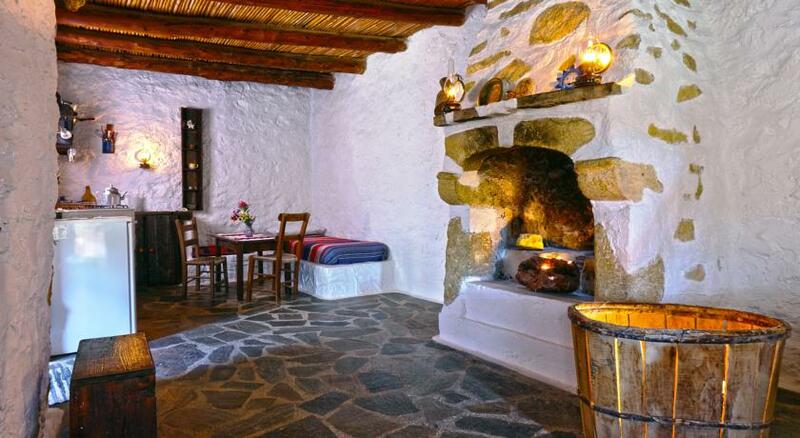 The decoration is simple and plain using traditional objects such as small tables, old wood, accessories for traditional bread making, old woven fabrics and pots and pans. 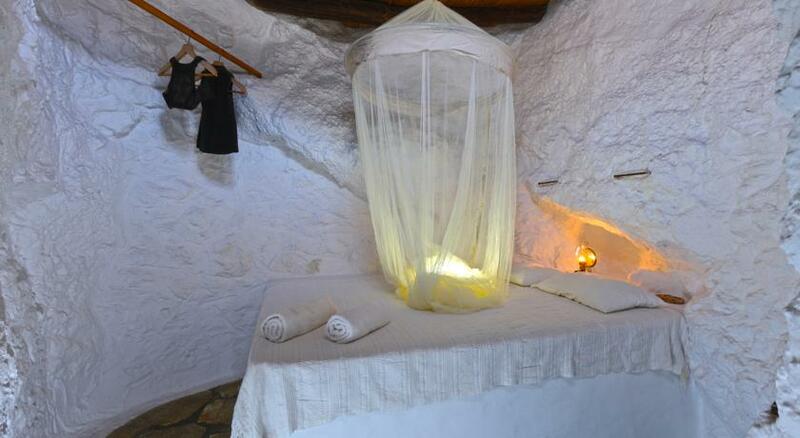 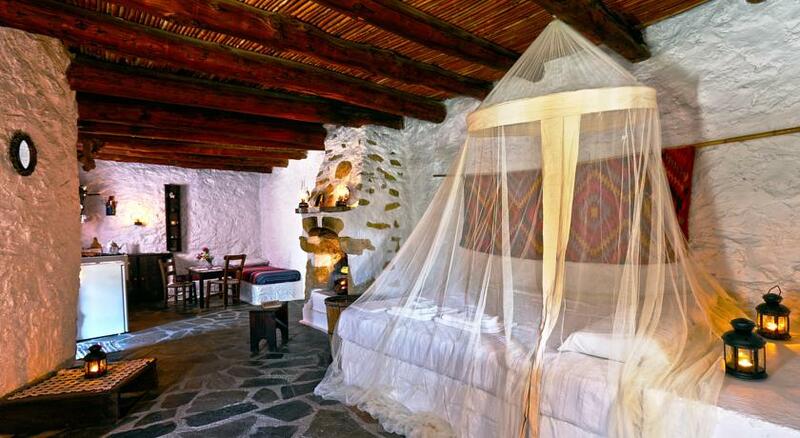 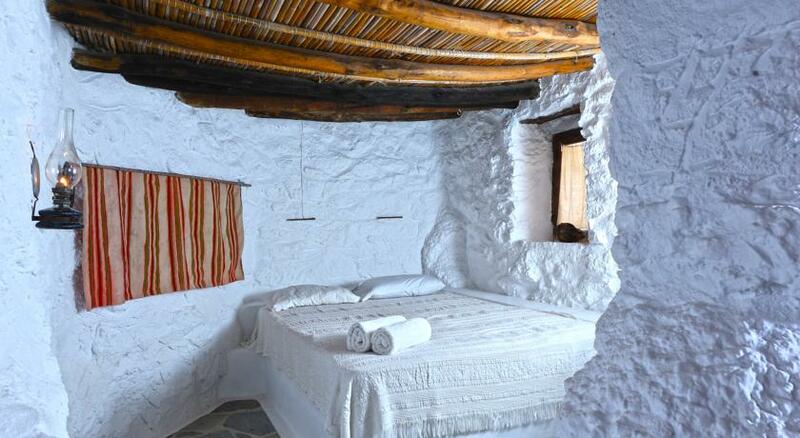 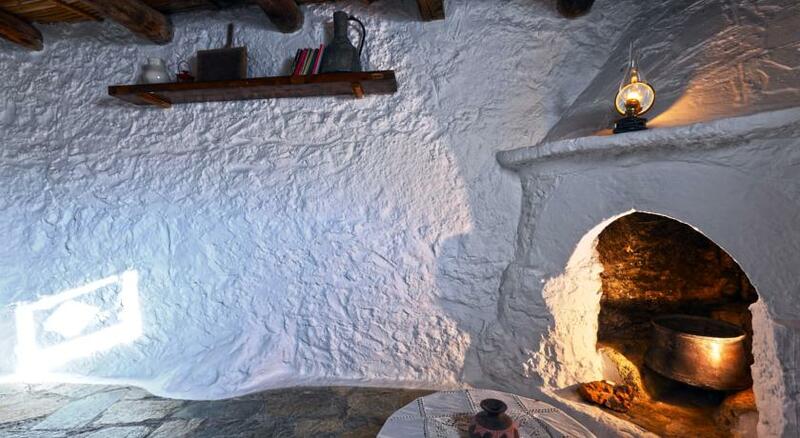 Beds made from stone, original windows and bedrock walls, ceilings of crossed beams, use of straw and soil for insulation, all help to create their traditional style. 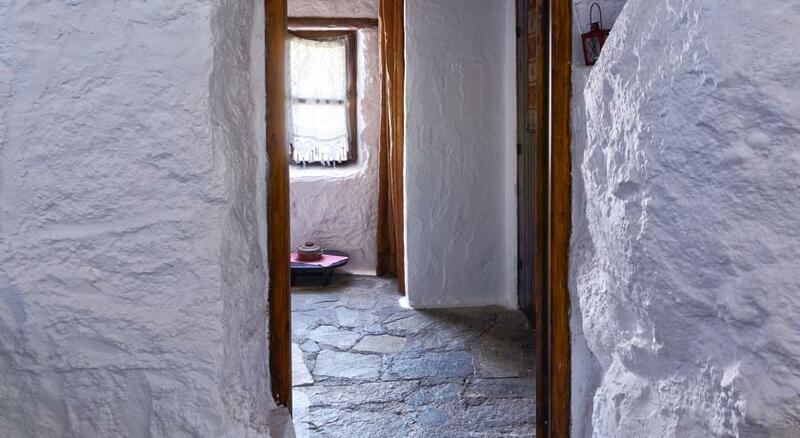 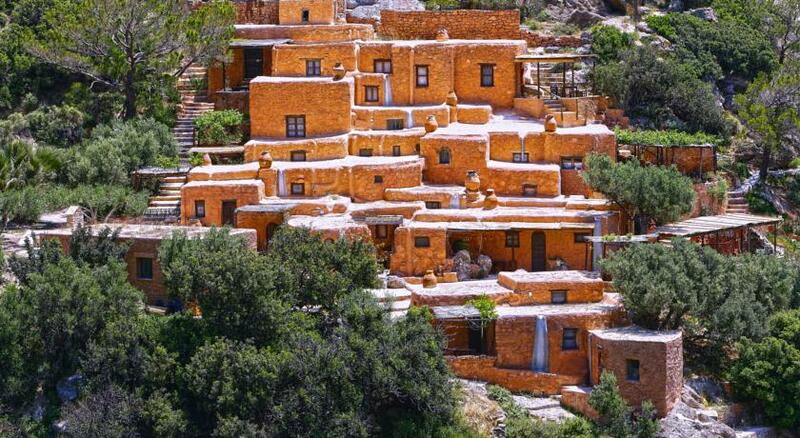 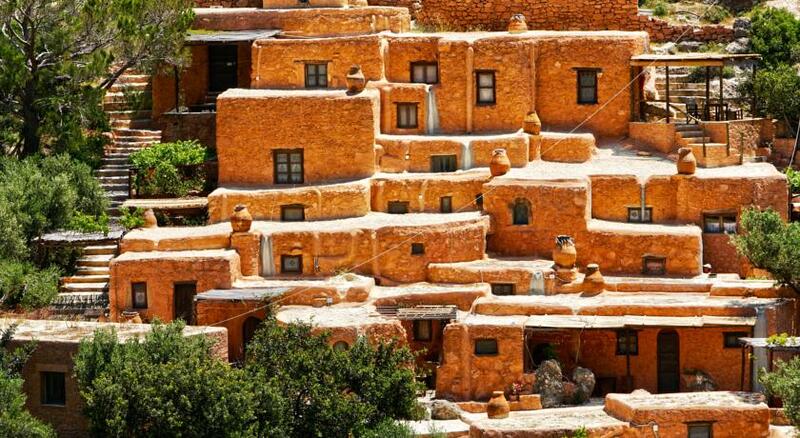 Thick outer walls made of stone and rock keep the houses cool in the summer and warm in the winter. 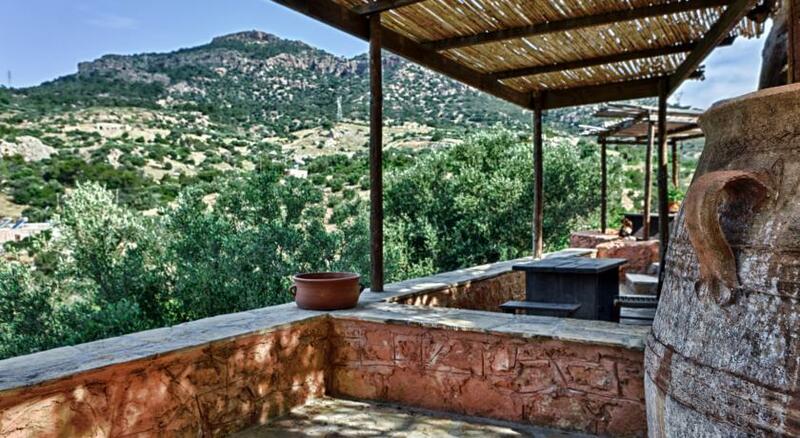 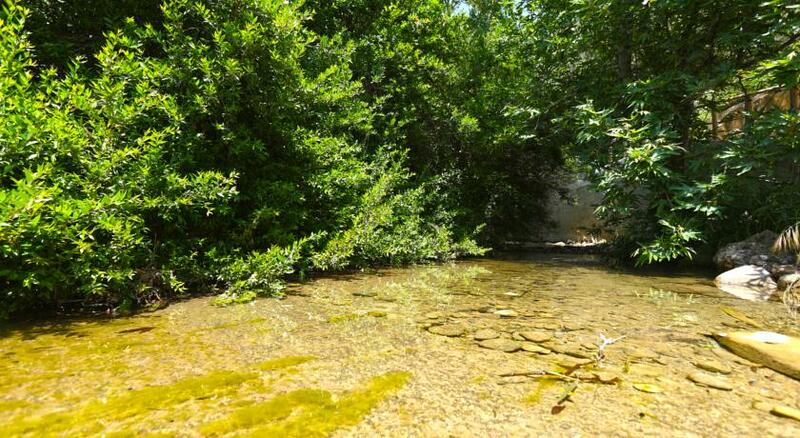 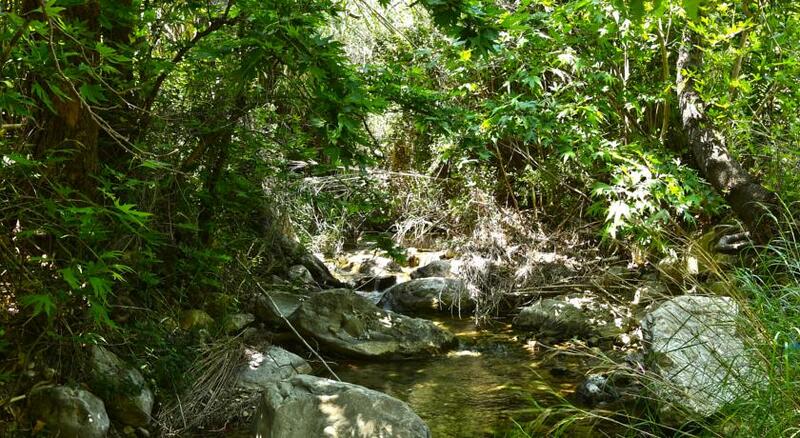 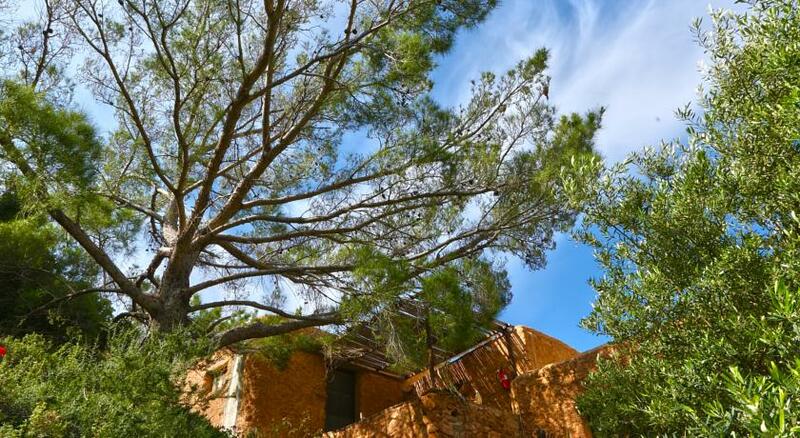 In respect for nature and the environment, Aspros Potamos uses only renewable energy sources. 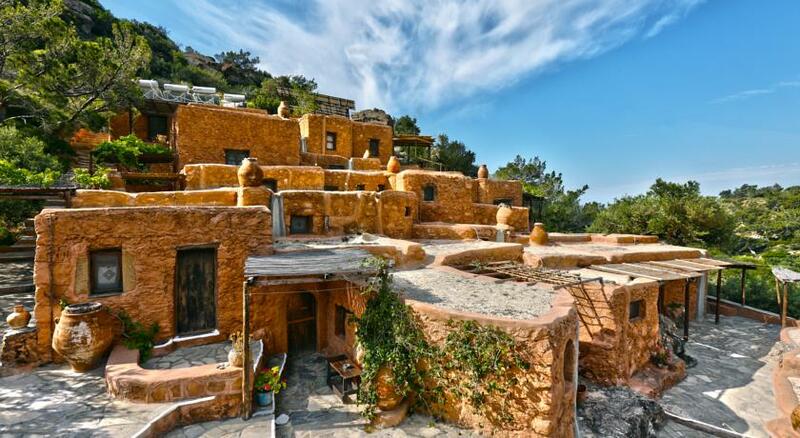 They have installed a solar photovoltaic system which has won the first European Award for Greece. 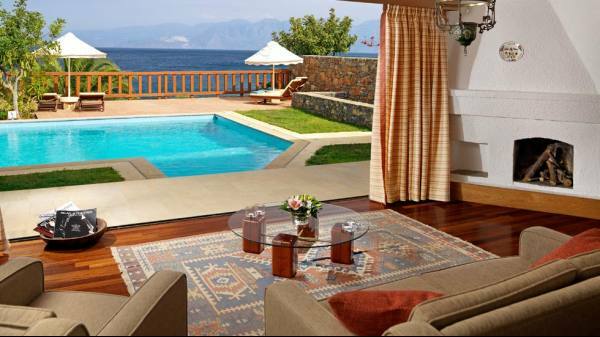 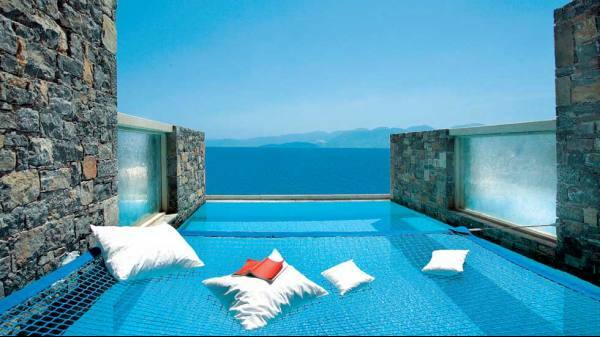 The location is ideal for those looking for tranquillity and relaxation.